Yoga is a physical, mental, and spiritual practice or discipline which originated in India. There is a broad variety of schools, practices and goals in Hinduism, Buddhism (particularly Vajrayana Buddhism) and Jainism. The best-known are Hatha yoga and Raja yoga. The origins of yoga have been speculated to date back to pre-Vedic Indian traditions, but most likely developed around the sixth and fifth centuries BCE, in ancient India’s ascetic movements. The chronology of earliest texts describing yoga-practices is unclear, varyingly credited to Hindu Upanishads and Buddhist Pali Canon, probably of third century BCE or later. The Yoga Sutras of Patanjali date from the first half of the 1st millennium CE, but only gained prominence in the West in the 20th century. Hatha yoga texts emerged around the 11th century with origins in tantra. Yoga gurus from India later introduced yoga to the west, following the success of Swami Vivekananda in the late 19th and early 20th century. 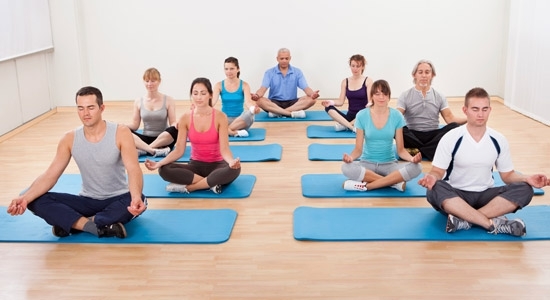 In the 1980’s, yoga became popular as a system of physical exercise across the Western world. Yoga in Indian traditions, however, is more than physical exercise, it has a meditative and spiritual core. One of the six major orthodox schools of Hinduism is also called Yoga, which has its own epistemology and metaphysics, and is closely related to Hindu Samkhya philosophy.